Will Android rule the handset market? With the announcement and soon-to-follow release of Apple’s iPhone 5 just around the corner, pundits and analysts have been crunching the numbers to predict just how many new smartphones the Cupertino company could sell. A new report from William Power, an analyst at Robert W. Baird, a wealth-management company, puts a pretty positive spin on Apple’s potential sales. According to Power's survey of 2,000 respondents, 45 percent said that they’re either currently eligible for an upgrade or will be in the next three months. In other words, in ample time to get their hands on a next-gen iPhone, rumored to go on sale September 21. Of this group, 45 percent said that they want to purchase an iPhone and while not all indicated they want the iPhone 5, it was the top contender in the group. Curiously, 31 percent of these soon-to-be upgraders said they were undecided about the type of phone they might purchase next and 22 percent indicated they would pick up an Android smartphone the next time they needed a handset. Power’s report also revealed some interesting data on device loyalty. Seventy-seven percent of respondents with iPhones indicated they plan to purchase another one when the time comes, the highest recidivism rate among survey takers and a clear sign iOS users are the most loyal to their device. Just 5 percent of the total iPhone users asked said they planned to switch over to Android. Android users proved less loyal. Among this group, 48 percent said they were planned to stick with Android, 34 percent said they were undecided and 17 percent said they plan to purchase an iPhone. Nearly one in five seems like a hefty defection rate, but not when compared to RIM’s customers, where only 2 percent reported they’d buy another BlackBerry. Power noted that RIM’s growth is largely enterprise focused with most growth happening outside the U.S. The company’s U.S. consumer client base is exceptionally sparse. The survey also gauged respondents’ interest in new smartphone manufacturers, namely Amazon and Facebook. Fifty-one percent said they’d be interested in an Amazon smartphone compared to the 7 percent who said they’d consider a social media smartphone. An extrapolation of the survey figures suggests Apple might have a sea of smartphone sales on its hands soon, which certainly isn’t bad news. “Those percentages, if they held, could suggest 50 million+ iPhone 5 sales in the U.S. alone, well above current forecasts,” Power wrote. Other analysts have predicted the iPhone 5 could sell over 250 million individual devices over the course of its lifetime. However, a new report from Digitimes Research - the original analysis section of Digitimes, which hasn’t always had a stellar track record when it comes to reporting accurate Apple news - indicates that Android’s the platform that’s likely to win out over the next year. 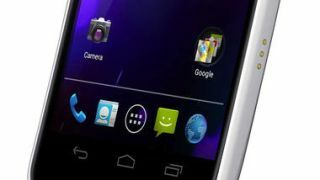 According to the report, released Friday, Android smartphones are expected to hit a worldwide market share of 70 percent in the second half of 2012 – up nearly 10 percent from the platform’s dominance in the first half of the year. Digitimes analysts predict that Android will achieve a final year-to-year growth of around 90 percent between 2011 and 2012. Apple is expected to hit a year-to-year growth of approximately 35 percent, and Digitimes’ analysts are predicting that Windows Phones will take top honors - for growth, at least - with a year-to-year increase of approximately 108 percent. Michelle Fitzsimmons contributed to this report.